By accessing any part of the Ekotoy website, you agree to and accept our general terms and conditions, including our Privacy Statement. You also agree to indemnify and hold Ekotoy harmless from any loss, liability, claim or demand, including reasonable attorney’s fees, made by any third party due to or arising out of your use of the website. Ekotoy failure to enforce at any time or for any period any one or more of these terms shall not be a waiver of them or the rights attaching to any of them. By accepting this booking conditions you confirm that you are of sufficient legal age to use this website and to create binding legal obligations for any liability you may incur as a result of the use of this web site. You must be at least 18 years old to purchase items on the Website and possess a valid debit or credit card that is accepted by us. If you are under 18 years old, your parents’ or guardian’s consent is required to make purchases on this web shop. These Conditions can be read in English or Portuguese. If there is any difference between the two versions, the Portuguese version shall take precedence. Communication between you and Ekotoy will be in English or Portuguese. Ekotoy.com ships worldwide, but it would be impossible to include instructions in all existing languages. When purchasing a product on Ekotoy, please read the “Additional Information” tab on the product’s description to find out which languages are available for each product. Ekotoy is not the author of the instructions and is not liable in case of any wrong or improper usage that results from the misunderstanding of such instructions. Ekotoy.com web shop is open 24-hours a day, but can be temporarily inaccessible due to maintenance. Orders given on weekends and holidays will be handled on the first coming business day. All the information on this site has been carefully compiled by Ekotoy with the greatest of care, however we cannot vouch for the entire content and/or all the information contained within. Ekotoy is in no way, shape or form responsible or liable for the content of third party web sites accessible from this site. Ekotoy is a registered mark. Ekotoy is authorized by the copyright owner to display information in this website and social media. Text, graphics, logos, (trade) names, button icons, images, photos, videos, audio clips, digital downloads, data compilations and software are the property of, or are licensed to Ekotoy or its content suppliers and protected by international authors rights, copyright, logo right, and/or other intellectual property rights. Third party logos and brands are copyright of their respective owners. These rights do not, under any circumstances extend to third parties who access this site. This site (or any portion of it) may not be reproduced, distributed, duplicated, copied, sold, resold, visited, or otherwise exploited for any commercial purpose without the expressed written consent of Ekotoy. You are forbidden from collecting information from our website and incorporating it into your own database or products. As a condition of your use of this website, you undertake to Ekotoy that you will not use this website for any purpose that is unlawful or prohibited by these terms. Product details may be subject to change without notice. Errors in the description, images, price quotations and estimates may occur. It is your responsibility to check the current terms and conditions before completing a purchase on our web site. Ekotoy reserves the right to change these terms and conditions as well as the contents of this web site for any reason and without notice. After you have made a purchase, it is your responsibility to check these terms for changes regularly. When an item is out of stock, we will be in contact immediately and you will be given the opportunity to cancel your order or choose an alternative product. Ekotoy reserves the right to change its stock availability on the site and to remove items from the product range before a purchase has been registered. Although unintentional errors may occur, we always include a very accurate description of all items on offer – please read it carefully before placing your order. However, please note that colors can change from one mobile phone or computer screen to the other, and are not always 100% accurate. Handmade products may present variations in color, fabric and size as each and every item is one of a kind. The same logic applies to the raw, natural materials used in the making of each toy – there may be some slight differences. Natural materials and handmade products are not mass produced, so there can be some differences between two items with the same reference. Product on offer may not be faultless, but they ethically produced and of outstanding quality so they will stand the test of time! 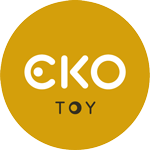 Ekotoy does not manufacture or produce any of the products on sale, hence we cannot offer warranty on any of the products. Furthermore, Ekotoy will not be held liable for damages which are caused by improper handling or normal wear and tear. All products on offer are manufactured using natural materials such as wood, paper and fabric, that can break or tear under pressure or with improper handling. For such consequential damages, Ekotoy disclaims any liability. All products should be maintained according to the instructions on the individual product. Ekotoy cannot be held responsible for damages due to incorrect maintenance. Please read the instructions on the product package carefully. In the case of litigation, the consumer may use an online dispute resolution (ODR) platform available here. These general terms and conditions of business are subject to Portuguese law.